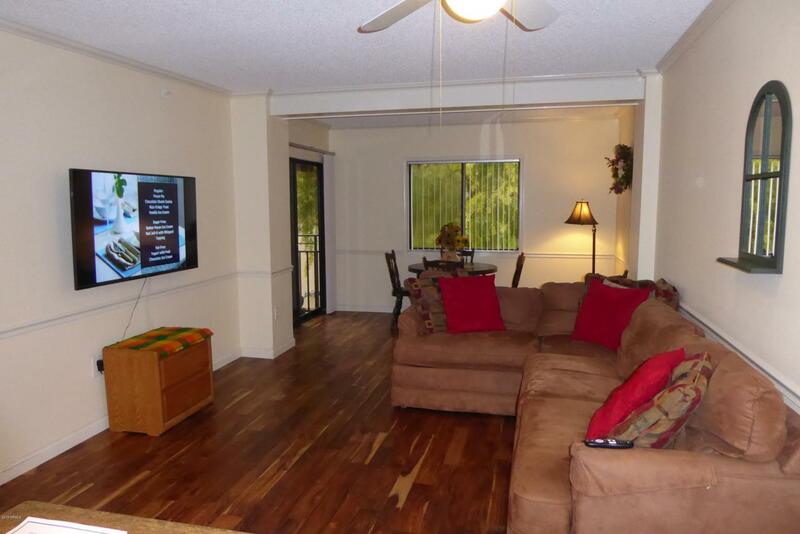 Beautiful one bedroom/one bath condo available. Furnished or unfurnished. Recently updated with new flooring, paint, kitchen and bath counters and so much more. AC system was new in 2016. Great location to the main activity building and parking. Extended living room with large 7' x 12' covered patio. Monthly HOA fee includes one meal a day in the El Dorado dining room, weekly housekeeping, chauffeured transportation, fitness and health program and so much more.